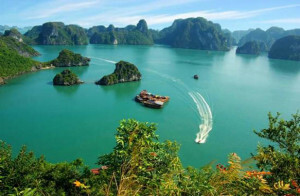 Delve into the rich cultures and stunning landscapes of the Mekong Delta. Spend four days exploring the labyrinth of waterways and villages by bike and boat. Witness skilled artisans at work, meet friendly farmers, see diverse ethnic groups and embrace the tranquil rhythms of life on the water. 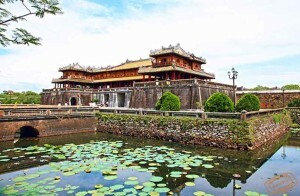 Begin this Deep Delta tour departing from Ho Chi Minh City on a two-hour drive into the Mekong Delta. Upon arrival at Cai Lay, board a local boat for the 30-minute cruise up a small river to the starting point of the bicycle tour. This leisurely 7km cycling trip rides along shady back roads over tiny canals, beyond fruit gardens and sleepy villages. For those who would prefer to not cycle, it’s possible to ride a “xe loi,” or a trailer towed from the back of a bicycle; used only in the Mekong Delta. En-route, stop at some traditional workshops which make turmeric spring roll paper and roof thatching made from the water palm tree. Around mid-morning, arrive at a family run orchard where diverse tropical fruits are grown. Take a stroll through the garden alongside the owner, a former war veteran, to sample some fresh, tropical fruits. After bidding the host good-bye, relax while enjoying the view from a small sampan boat while being paddled slowly along tropical canals. Disembark and continue cycling to a 100-year old house, which is architecturally a mixture between traditional Vietnamese and European designs. Here a Vietnamese lunch will be served consisting of dishes only found in the Mekong Delta. After the meal, bid farewell to the family before continuing by road on to Cai Be to spend the night at a charming riverfront resort. Depart Cai Be early in the morning for the 1.5-hour drive to Sa Dec, deep in the Mekong Delta. Sa Dec is a charming, authentic Mekong Delta town that seems to have escaped the modernization that has swept much of Vietnam. Upon arrival to Sa Dec, visit the charming Kien An Cung Pagoda before having lunch in the former home of Huynh Thuy Le. After visiting Sa Dec, continue by road to Chau Doc, arriving in time for a late lunch. 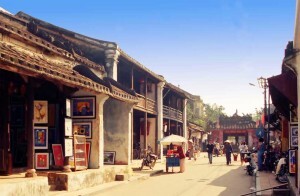 Chau Doc is a friendly, laid back riverside city situated on the Hau River, a branch of the Mekong River. Due to its close proximity to Cambodia, Vietnamese, Cham, and Khmer residents live side by side and Buddhism and Islam peacefully co-exist. This afternoon, take a boat to Chau Giang District where a tiny mosque serves the local Cham community. The Cham minority who dominated coastal Vietnam from the 2nd to the 9th centuries were originally Hindu, but became Muslim as a result of contact with Arab seafarers and merchants in the Middle Ages. The Cham people also practice silk weaving and there may be an opportunity to see them at work. Pay a visit to a beautiful Khmer temple, and later visit the floating houses that double as catfish farms, now a huge industry for the country. After breakfast at the hotel, visit Chau Doc’s local market with the guide before taking a 3-hour drive to Can Tho, the fourth largest city in Vietnam. 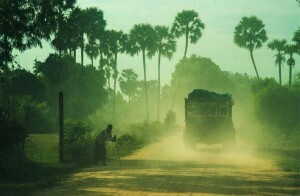 This afternoon, spend time cycling around the quiet lanes and dirt paths of Can Tho. Biking is the perfect way to discover the countryside. The roads are flat and the sites are amazing: cottage industries, small farms harvesting or planting rice, hidden temples and lots of friendly locals. 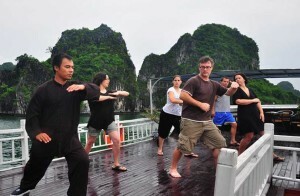 Wake up early for a boat cruise to Cai Rang floating market. The main items sold here are fruit and vegetables; every boat has a long, upright pole at its bow from which samples of the goods for sale hang. 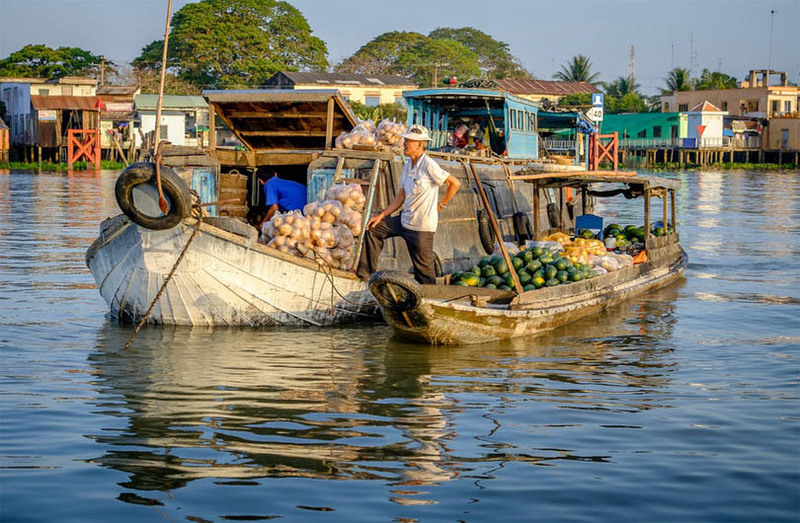 Depending on the season, the boats may carry produce such as mango, bananas, papaya, pineapple… even floating coffee shop and pho vendors operate on the water! Enjoy lunch at leisure. 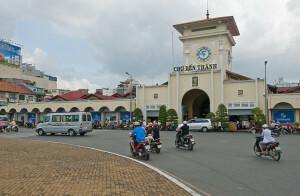 After the market visit, depart for the 4-hour drive back to Ho Chi Minh City.